Gracie says: Do your swings hardstyle or not at all. 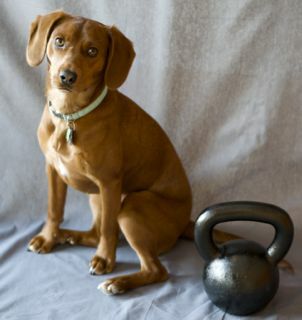 Every Wednesday at 8:30 am CST, I lead a kettlebell swing class in the studio. Over the past few weeks, I’ve opened the class up on Google+ Hangouts for a few students who can’t make it in at that time! I tried recording it for you this week, but totally didn’t get it right. Next time! !